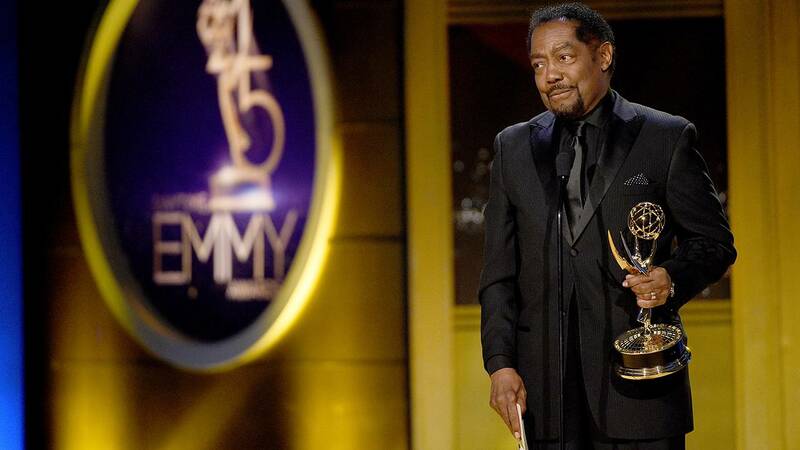 James Reynolds accepts the Emmy for Outstanding Lead Actor in a Drama Series for his work in "Days of Our Lives"
(CNN) - The National Academy of Television Arts & Sciences announced the winners of the 45th Annual Daytime Emmy® Awards on Sunday at a gala held at the Pasadena Civic Auditorium in Pasadena, California. Mario Lopez of "Extra" and Sheryl Underwood from "The Talk" hosted the evening which celebrates achievement in daytime programing. The soap opera "Days of Our Lives" was the big winner of the night, taking home awards in various categories including outstanding drama series, outstanding lead actor for James Reynolds in his role as Abe Carver and outstanding supporting actor for Greg Vaughan as Eric Brady as well as directing and writing honors. Eileen Davidson as Ashley Abbott, "The Young and the Restless"
Adrienne Houghton, Loni Love, Jeannie Mai and Tamera Mowry-Housley, co-hosts of "The Real"
James Reynolds as Abe Carver, "Days of Our Lives"
Steve Harvey, Host of "Steve Harvey"
Greg Vaughan as Eric Brady, "Days of Our Lives"
Camryn Grimes as Mariah Copeland, "The Young and the Restless"
Wayne Brady, host of "Let's Make a Deal"
Lili Estefan, host of "El Gordo y la Flaca"
Lidia Bastianich, host of "Lidia's Kitchen"
Rome Flynn as Zende Forrester, "The Bold and the Beautiful"
Vernee Watson as Stella Henry, "General Hospital"
Chloe Lanier as Nelle Benson, "General Hospital"